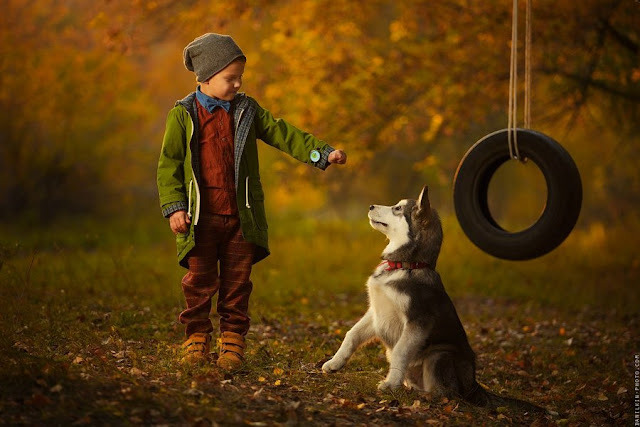 This Is So Touching: A 4-Year-Old Explains Why Dogs Don’t Live as Long as Humans.. There is an old saying that tells us that dogs are our links to heaven. Anyone who has ever owned one knows this is true. Our relationship with these noble creatures stretches back all the way to pre-history, to times when we ourselves were still hunting and living off the land. Ancient cultures worshiped them, building statues and shrines in their honour, and to this day, they selflessly serve a great number of human needs, far beyond their main role of companionship; they give eyes to the blind and comfort the depressed; they risk their lives tirelessly with our police and fire departments and, in more remote climes, they continue to help us hunt and fish, even carrying us determinedly across barren landscapes where we would undoubtedly perish without their help. We sat together for a while after Belker’s death, wondering aloud about the sad fact that animal lives are shorter than human lives. Shane, who had been listening quietly, piped up, “I know why.” Startled, we all turned to him. What came out of his mouth next stunned me. I never had heard a more comforting explanation.